Before Starting Rigging a model we should check the model. There is some basic and essential point you should keep in mind. 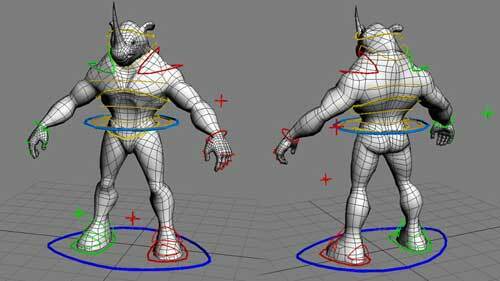 Proper Mesh follow and cuts in Mesh responsible for proper Deformation in Model while Animation. This Video Series discuss over such issues.